Saint Lucia has timeless elegance and old world charm which makes this tropical paradise a firm favourite. Spoil yourself and relax in one of our hand-picked 5 star hotels in St Lucia, or if you prefer, one of our small luxury boutique hotels. The Island of St Lucia is fantastic for weddings and honeymoons. It’s also great for family holidays with a people who are more friendly than any other Caribbean nation. Explore the Pigeon Island National Park to see rain forests, banana plantations, citrus orchards and abundant flora and fauna keep the tropical landscape a riot of colour and sweet scent. Winding roads run throughout the south of the island. The visitor can catch amazing glimpses of turquoise seas, fishing boats and nets and of course the majestic world-famous Pitons. Select from of our collection of hotels and self catering villas for your holiday, wedding or honeymoon. 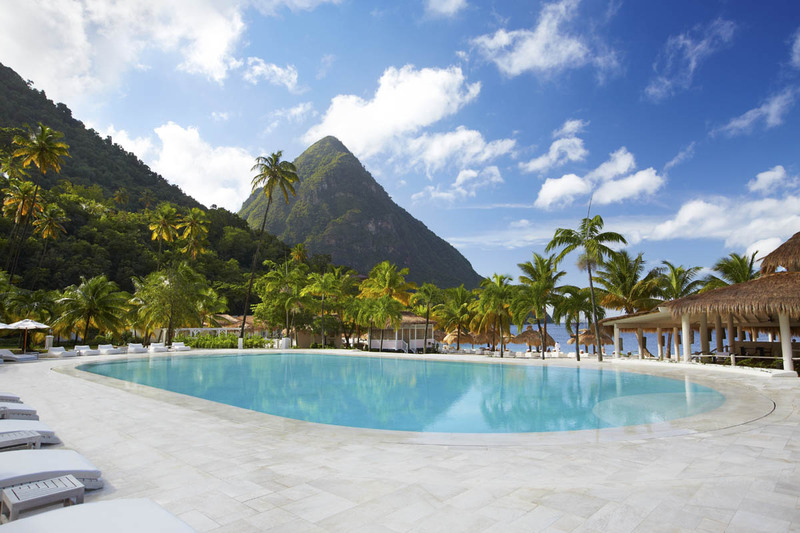 When you open your eyes in Saint Lucia, it’s as if your perfect dream is just beginning. A marriage license must be obtained in St. Lucia by all visitors wishing to get married in St. Lucia. For an ordinary marriage license which cost EC$335.00. You just need to stay here for 2 days before the wedding. After you’ve been here for 2 days, a local Solicitor can apply for a license on your behalf. However there is a Special License which requires no residency period. The fee for the special license is EC$540, but if you arrive with all necessary legal documents and file them with a lawyer in the morning, by the afternoon of the same day you can obtain the special license. • If one of the parties is under the age of 18, evidence of consent of parents is required in the form of a sworn affidavit stamped by a Notary Public.